India is home to thousands of wetlands which occupy a total area of 15.260 Mha hectares are covered by 26 Indian wetlands, situated in 15 states. These 26 wetlands have been declared as “Wetlands of International Importance” under the Ramsar Convention because of their stunning biological diversity and ecological importance. 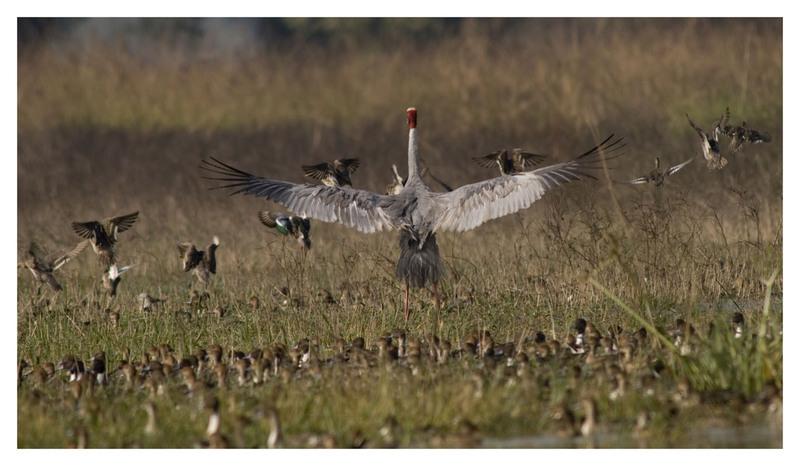 However, the Keoladeo National Park from Rajasthan and the Loktak Lake from Manipur have been named under the Montreux Records since the early ’90s, which indicates that threats to wetland ecosystems due to changes in their ecological character is not a recent phenomena. After the Stockholm Declaration (1972), India experienced a period of environmental enlightenment and many statues and legislations addressing crucial and significant environmental issues were enacted, yet there was no specific legislation for the protection of wetlands. Even though the National Wetlands Conservation Programme was in operation since 1985-86, the urge to set up a ?legally enforceable regulatory mechanism to prevent their degradation and enhance their conservation? was realized only in 2006 with the adoption of the National Environment Policy. Finally, in 2010, under the all encompassing Environment (Protection) Act 1986, the Wetlands (Conservation and Management) Rules (the Rules) were notified. Considering the fact that India was a signatory to the Ramsar Convention it was an important step towards better management of wetlands yet it seems that the Rules have failed to live up to their expectations. The existing Rules suffer from many flaws, a major one being the failure to include a definition/explanation (1) . Of this, 689,131 of the term ?wise?use?. ?Wise?use? of wetlands is an important concept of the Ramsar Convention and is defined as their sustainable utilization for the benefit of mankind in a way compatible with the maintenance of natural properties of ecosystem confusion. For instance, the resource recovery practices within the East Kolkata Wetlands using waste water and solid waste illustrate a unique example of wise-use but it is contrary to the provisions of the Rules which prohibit solid?waste dumping Also, the Rules remain silent about wetlands situated on private properties and those wetlands which are lesser known. Such water bodies are more vulnerable to destruction and require immediate attention. Apart from that, tourism as a topic has been completely left out. Many Ramsar sites in India are famous tourist destinations but unplanned tourism can negatively impact the wetlands, increase pollution and adversely affect the biodiversity of the area. Effective implementation of the Rules has also been a question of grave concern. To address this problem, it is important to foster greater collaboration and co- operation within Government Departments. The existing communication gap between departments has only been detrimental to the existing situation. Strong association connecting the top Government Departments with grass?root organisations will make it possible for the Government to keep a constant vigil upon the wetlands through engaging local people. Amidst all this, one Government Division which has always been actively involved in protection and restoration of wetlands is the Indian Judicial System. One of the first and the most remarkable judgments that has set a legal precedent for similar cases is PUBLIC vs. State of West Bengal & Ors relating to the East Kolkata Wetlands and the court in this case ruled that economic development must be in harmony with the environment and considering the wide range of benefits offered by wetlands its degradation cannot be permitted. The court also enjoined upon the State to maintain the original character of wetlands by prohibiting land?use change and to stop all encroachment. Repeatedly, the courts in India have acknowledged the importance of wetlands and have banned reclamation activities. Whether it is the Kerala High Court expressing its concern over the filling up of paddy fields all civic bodies in the state, declaring a ban on any construction activity on wetlands which figure in the Central Government’s map response from the State Government about the initiatives taken for the conservation of wetlands have always stood up for conservation and protection of water bodies. Wetlands provide a range of ecosystem services, the protection of which is important for the communities to sustain. To achieve this, India must develop a common policy with uniform application throughout the (8) . The plethora of rules under the Environment (Protection) Act, 1986 are turning out to be a country constant failure one after another and it?s time to come up with a strong central legislation. Lack of accurate scientific information is another reason behind the neglect of wetlands. Apart from this, the optimal efforts in the direction of conservation require vigorous action not only by those entrusted with the task of protecting it but also by the principal stakeholders. People should have a non?compromising attitude when it comes to environmental matters because protection of environment is not just our right but it is also our duty. (7) Pooja Dhull vs Union Of India And Others, CWP No.2691 of 2012 , decided 28.01.2013. Ms. Supreet Kaur graduated with a Master degree in Law from the National University of Juridical Sciences, Kolkata in 2011. She has worked with the East Kolkata Wetlands Management Authority, Environment Department, Government of West Bengal as a Technical Officer where her role involved undertaking legal research operations and monitoring relevant national policy and regulatory developments relating to wetlands. She is also a UN online volunteer and works with multiple non?profit organisations in the field of peace, environment and social justice. She is also a Co-Editor of ?Urban Wetlands.